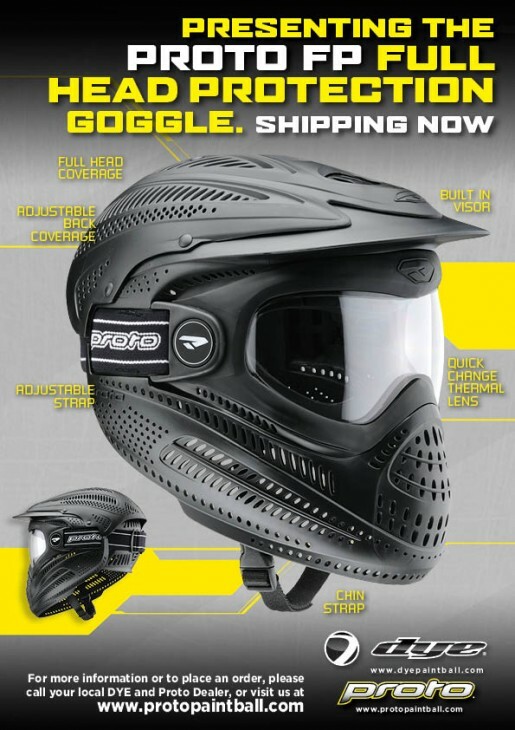 OnePaintball, Paintball Blog - News & Facts rund um Paintball & Gotcha: "PROTO" hat ne neue Maske auf dem Markt - Proto Full Protection Goggle has arrived! "PROTO" hat ne neue Maske auf dem Markt - Proto Full Protection Goggle has arrived! The Proto Full Coverage Goggle has arrived! Presenting the Proto FP Full Head Protection Goggle. Now Shipping. For more information or to place an order check it out online at http://shop.protopaintball.com/ or at your nearest Dye and Proto dealers.